Custom Conception...Custom Completion. Greystone Construction is custom homebuilding at its purest. Built to blend seamlessly with its homesite, each Greystone Construction home is a unique one-of-a-kind creation—whether it be the strategic placement of each window or the custom-made furniture and cabinetry. 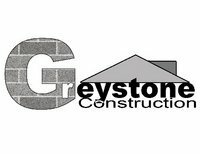 Greystone Construction is personally involved with the client through every phase of the building process.